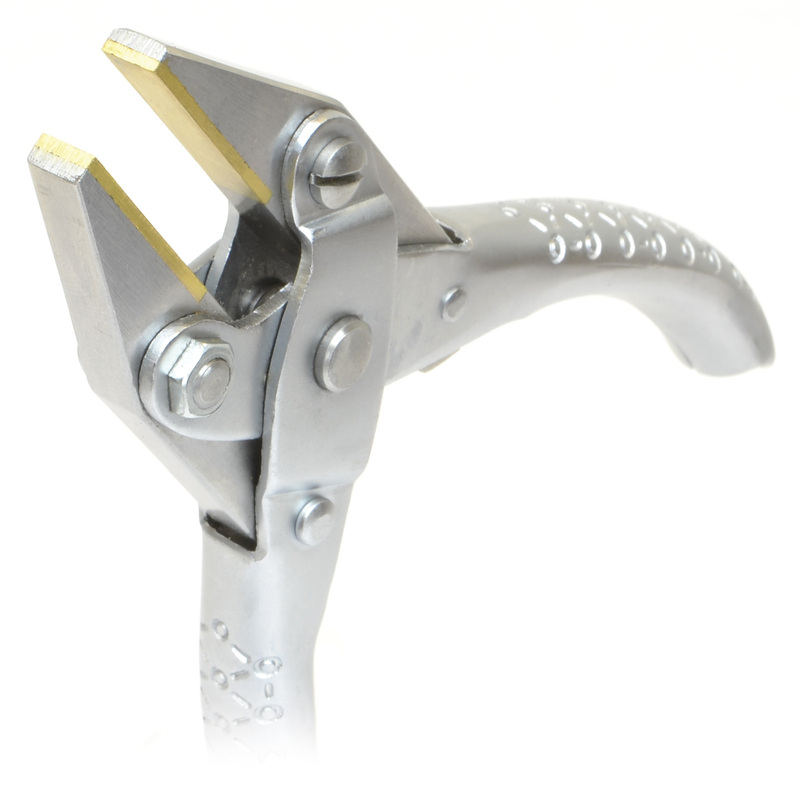 Exceptional Quality Parallel Jaw Brass Lined Plier allows for non-marring bending and gripping operations on delicate parts. Jaws open 3/8 inch. Brass lining is 1/4 inch wide and 7/8 inch in length. Overall length is approximately 5 inches and has double the spring action as others on the market (one internal spring in each handle half) for ease of use.